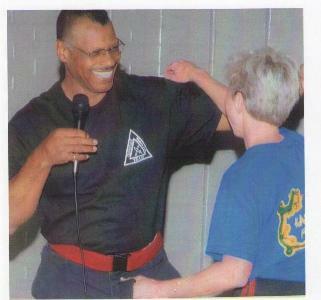 Grandmaster Willie Garfield Wilson and Master Linda Wilson's Announcement Corner! Welcome! This is the K-5 Announcement Corner where special announcements and K-5 Dojo updates are noted on this HOME Page for our visitors. 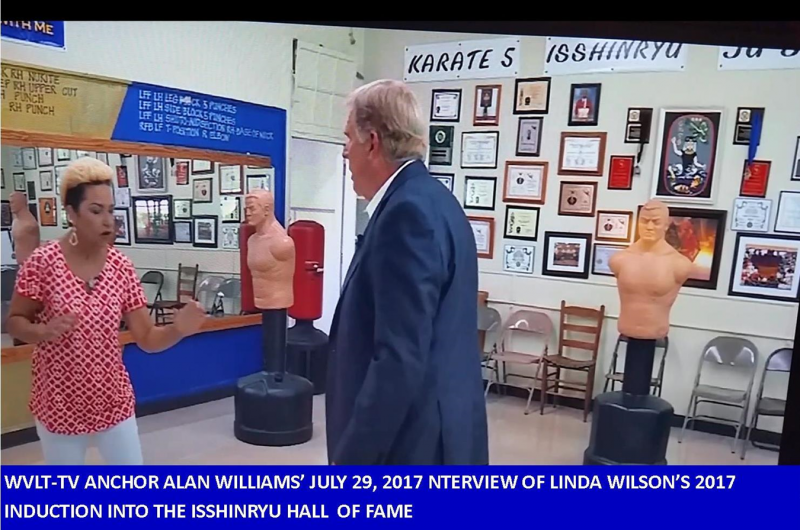 Click after arrow to view video ﻿ ﻿ ﻿WVLT Local 8 News Hall of Fame Karate at 5P interview with Channel 8 TV's Anchor Alan Williams and Sensei Linda Wilson aired July 29, 2017. 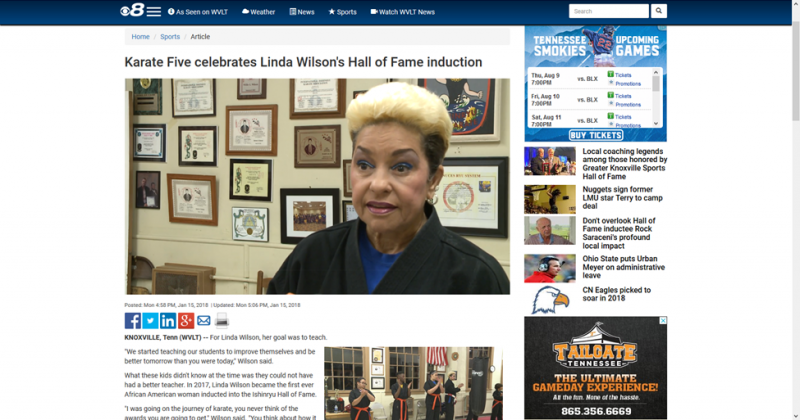 NEWS ARTICLE UPDATES--Click after arrow to read ﻿ The Tennessee Tribune Thursday, November 30-December 6, 2017 news article about Sensei Linda Wilson, "Hall of Fame Inducts First African American Female," in the Home-Article webpage. Visit ABOUT US page for K-5 Dojo Updates on promotions, special program announcements and awards. 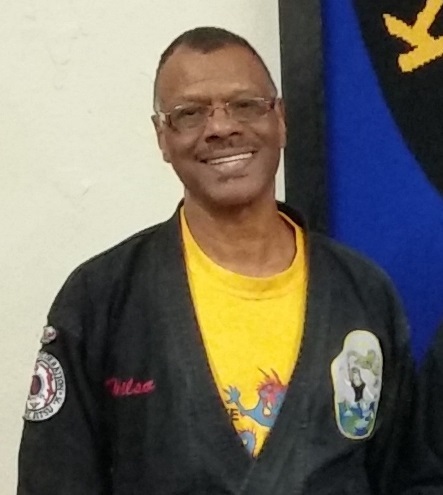 Be sure to view special local television links of interviews with Grandmaster Willie Wilson and Master Linda Wilson (above and lower right corner of Home page). Review Articles page under the Home tab for newspaper articles and interviews of K-5 leadership, staff, students and programs. 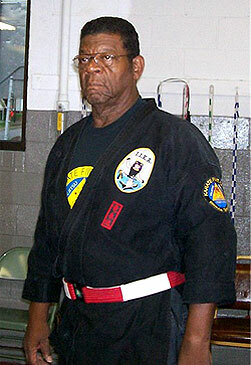 Special articles are selected by Grandmaster Wilson for posting on website. 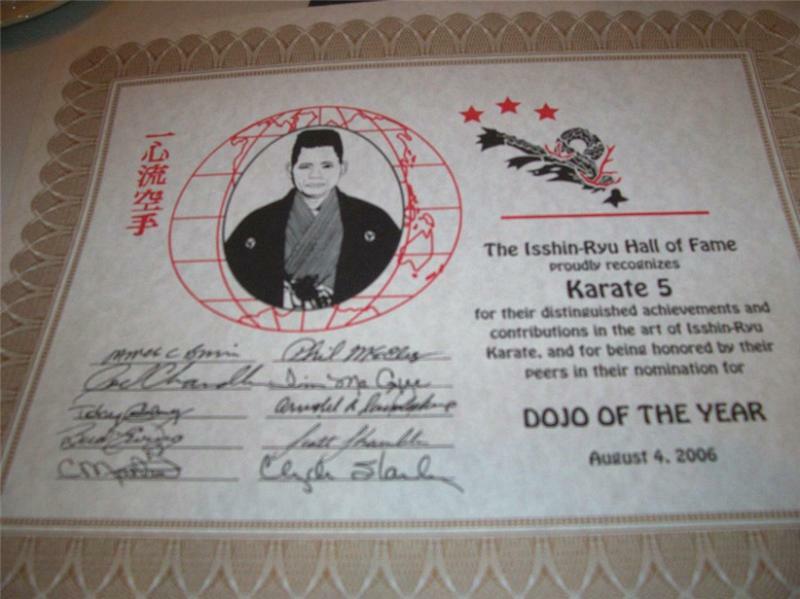 The original inception of the Karate Five Dojo﻿ was created by Grandmaster Willie Garfield Wilson in 1975. Click on this link K-5 Original Founders. Our desire is for our black belts, staff and students to always strive for excellence, loyalty and commitment to the arts. (Above) Sensei Linda Wilson demands a rigourous workout from students before martial arts training. (Below) Students meet the challenge of Sensei Wilson's physical conditioning and strengthening routines. 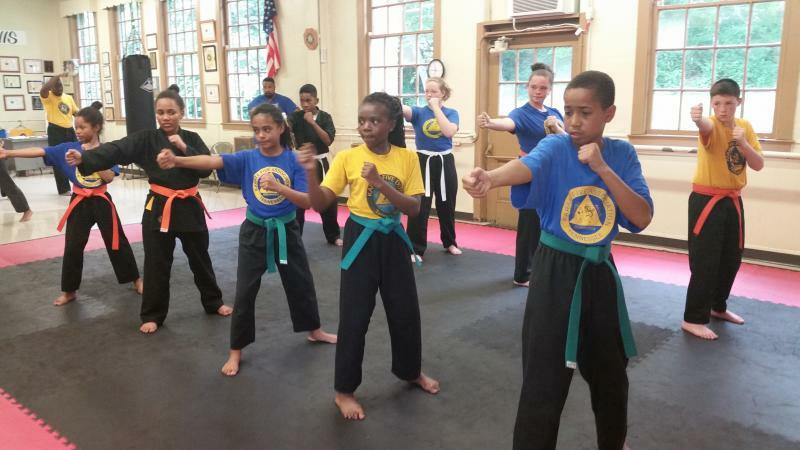 Training and physical conditioning is an integral part of Karate Five's martial arts program. Large heavy mirrors cover the East Wall and are used in the dojo training room for free-style training. Mirrors represent a very important role in martial arts training because mirrors allow our students with the self-evaluation process of his/her skills and the level of their ability to promote excellence. 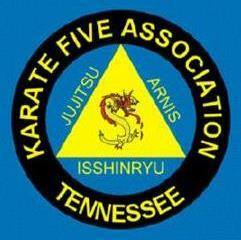 The early founders of Karate Five understood the intense concentration and focus demanded of students in martial arts training. Under the leadership of Grandmaster Willie Wilson that vision continues today over 40 decades later. 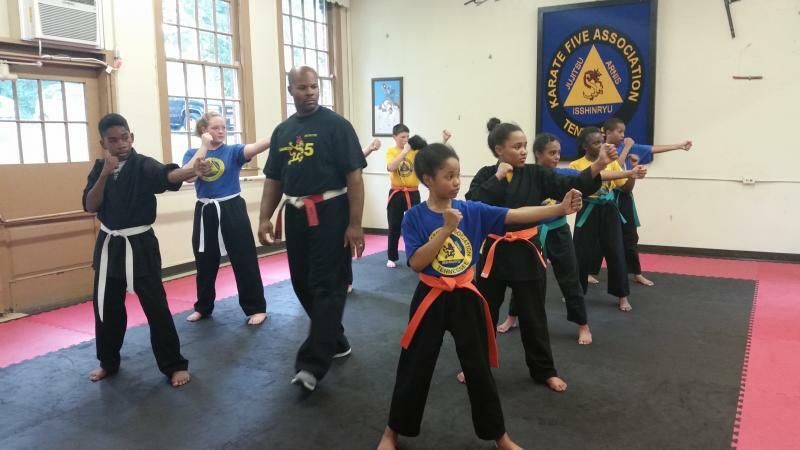 Click here to read the Mission of Karate Five and our commitment to inner city youth. Without partnerships and sponsors such as the City of Knoxville Recreation Department (dojo facility) and Foster Chapel Baptist Church (Continuing Education Scholarships), we would not have the long-standing success with Knoxville's inner city youth. This success has been accomplished through K-5's outreach and educational programs, workshops, seminars, conferences, training demonstrations and tournament participations. Karate Five offers not just martial arts training but a unique opportunity to reach out and help mold the young lives and spiritual foundation of our inner city youth. 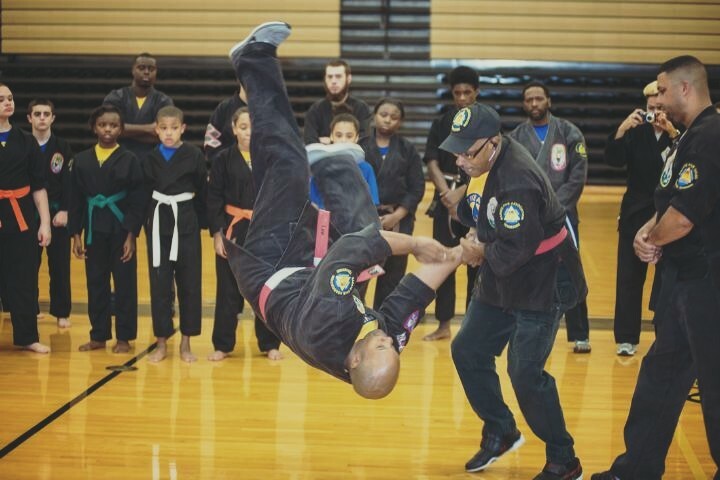 Over the decades Karate Five has won several Humanitarian Awards (Grandmaster Willie Wilson), K-5 Dojo recognition awards, lifetime achievement awards and community leadership awards. These awards are indicative of Grandmaster Willie Wilson's and the Board's leadership which was the orginal founders' vision for Karate Five. Karate Five received in 2017 - "The Harold Mitchum Humanitarian Award"
"Grandmaster Wilson and the Karate Five Board of Directors adamantly proclaim and reiterate our Mission to help inner city youth to spiritually, physically and morally develop sound and disciplined personal standards of living. 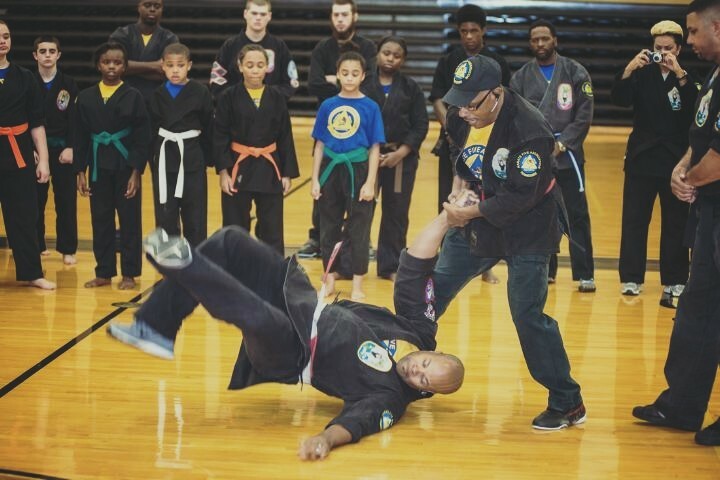 We teach them to honor and exemplify a deep respect for family values and their community through the martial arts." 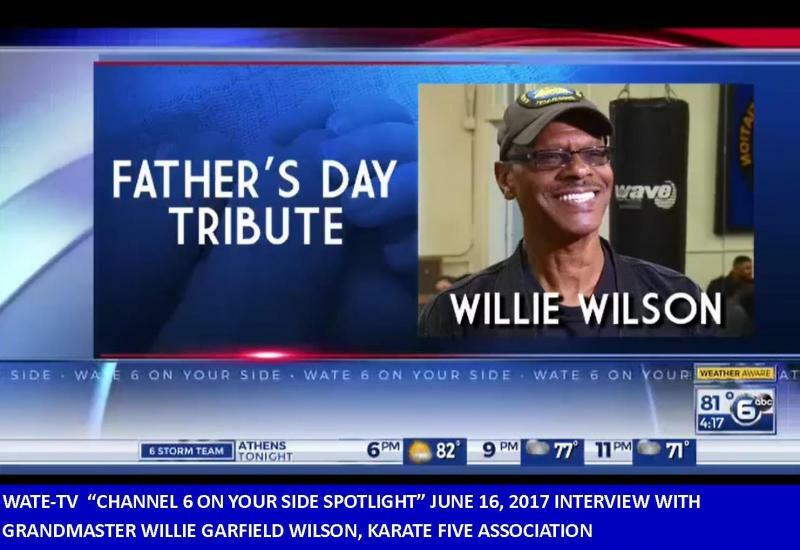 WATE's News "Channel 6 on Your Side Spotlight" television video interview with Grandmaster Willie Garfield Wilson, June 16, 2017﻿ feature spotlight of Grandmaster Willie Wilson's selection as one of four recipients receiving the Beta Theta Boule' Foundation's "Fatherhood Excellence Award" honoring outstanding fathers/mentors at their Father's Day Luncheon, June 18, 2017. Please visit our Contact Page for information regarding inquiries or questions. We look forward to hearing from you anytime! 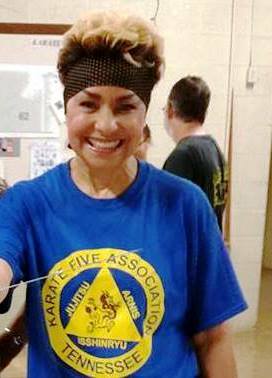 VISITORS: Thank you for visiting the Karate Five Website!